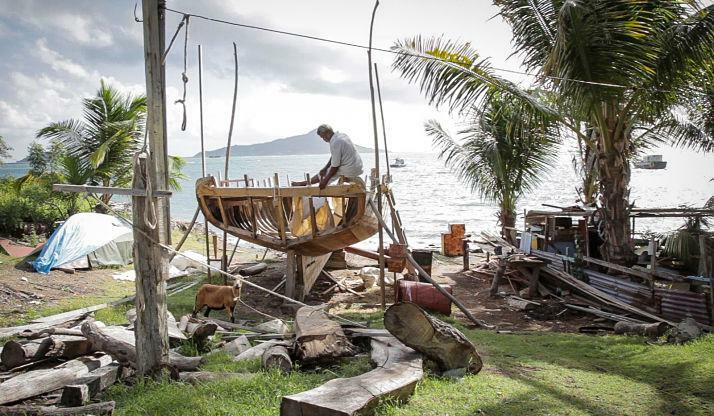 Winner of 7 international awards - On the small island of Carriacou in the West Indies, the last wooden sailboat builder dreams of saving a great tradition passed down the generations from Scottish settlers that sailed there centuries ago. The film follows Alywn Enoe’s journey of determination and resilience over three years, from hauling trees with his sons, to a final traditional launching ceremony. Stories of the old Caribbean - trading by sail and smuggling contraband interweave a tribute to the independent spirit of a small island community. An outstandingly beautiful and timeless film that deserves the widest possible audience. Julian Parker, OBE, Maritime Foundation. Vanishing Sail tells the story of trading by sail in the West Indies, and follows a community of boat builders in Carriacou who struggle to maintain their tenuous grip on a dying skill. 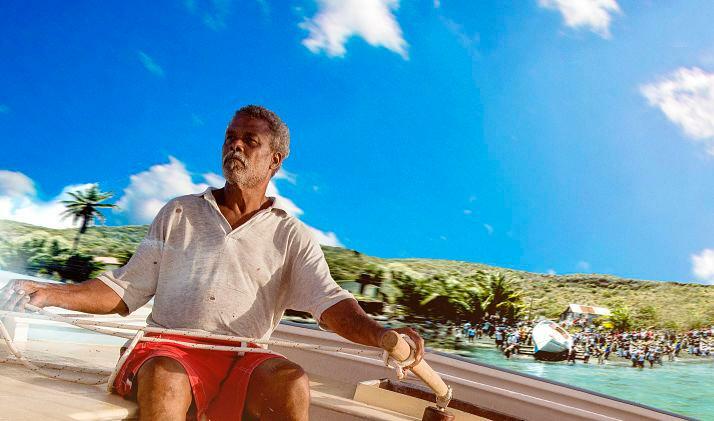 Through a collection of dramatic sailing scenes, rare archival footage and unprecedented interviews with the last old, Caribbean Sea Captains, Vanishing Sail seeks to preserve the legacy of boatbuilding in the Grenadines, first introduced by Scottish settlers in the 19th century. Crafted on the beach, with skills passed down the generations, these schooners and sloops worked the trade winds, fishing and carrying cargo - including contraband from St. Barthelemy where the smuggling trade in alcohol and cigarettes thrived until the 1970's. However, times are changing. No longer relying on traditional sailing vessels for transport, trade and smuggling (! ), traditional Caribbean boatbuilding is becoming a dying art. And it really is an art. The sloops, and even large schooners, that have been built in the Caribbean are things of absolute beauty. Built on the beaches with limited access to tools and supplies, boatbuilders show absolute dedication to their vessels. An absolutely superb film, with all aspects of it perfectly balanced against each other – very like Exodus herself, as rewarding a maritime documentary as you could hope for. Rob White Chair, The Maritime Foundation. Approaching his 70s and with no more orders coming in, Alwyn decides to build one last sailing sloop with the hope that his sons will continue the trade. The film follows the story of Alwyn using his family savings to build this last sloop. Of course, everything happens on ‘Island Time’, and we watch Alwyn’s progress and despair over the course of three years. Intertwined with the building of Alwyn’s sloop, we meet other important figures in the Caribbean traditional boat scene. The film tells inspirational and haunting tales from years gone by of what these vessels mean to the people of the Caribbean. Suddenly, a deadline appears: Alwyn and his sons aim to be ready for the Antigua Classic Yacht Regatta. Five weeks and three hundred miles away, there is a lot to do to get the vessel ready. Will they make it in time to race against the last of the Traditional Boats in the Caribbean? To order DVD and/or HOST a SCREENING for your COMMUNITY or YACHT CLUB please visit: store.vanishingsail.com The online launch is coming soon, premiering Easter Monday, April 2nd, exclusively on Vimeo on Demand: high quality streaming service and vibrant community of independent cinema, as we now set sail on a voyage to reach a wider audience of lovers of the sea, islands and traditions.